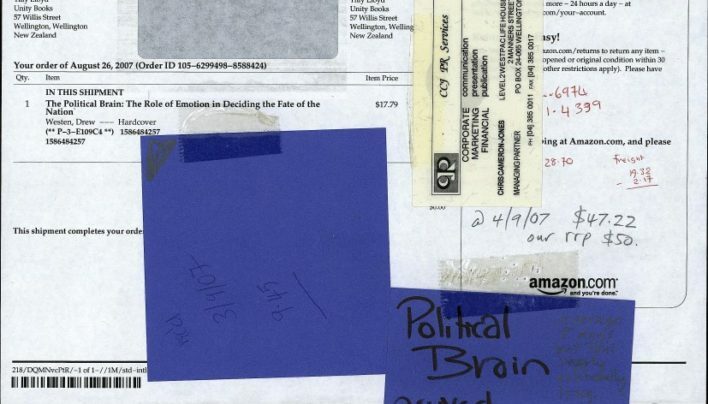 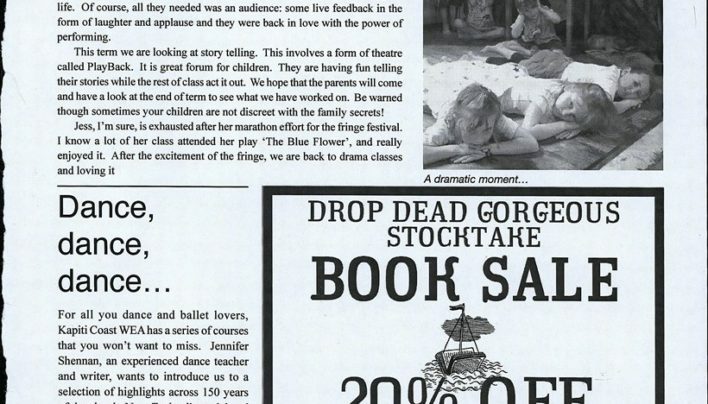 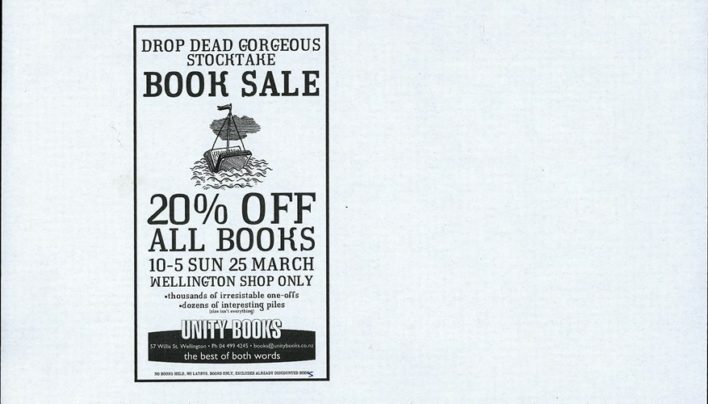 A proof for our print advertisement for a 20% off all books one day sale held in 2007. 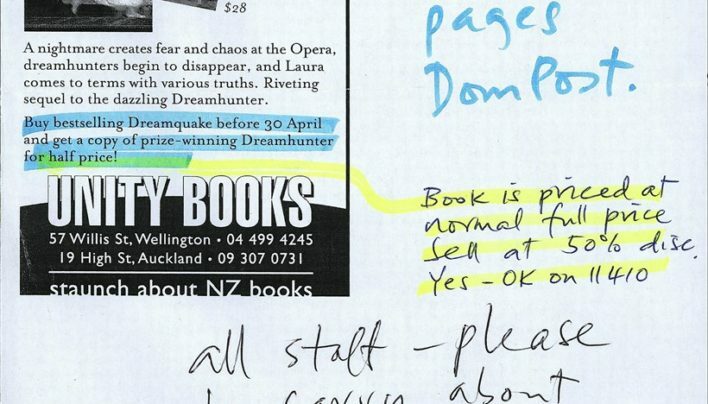 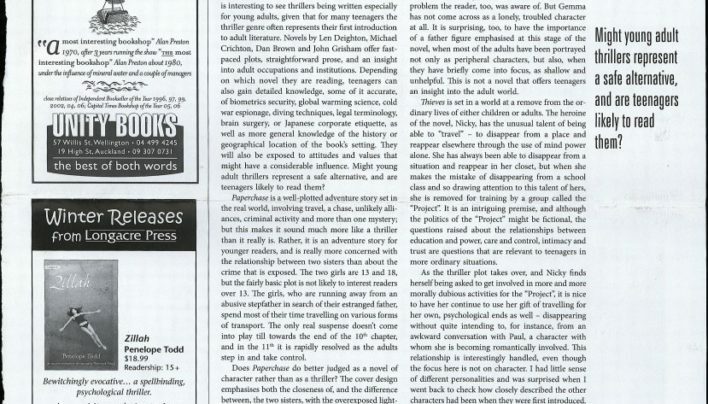 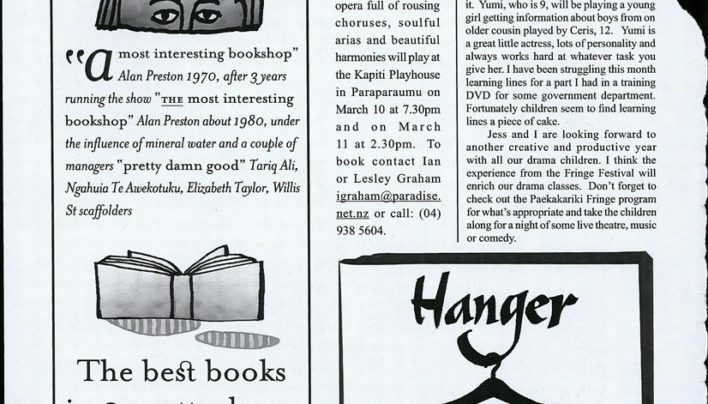 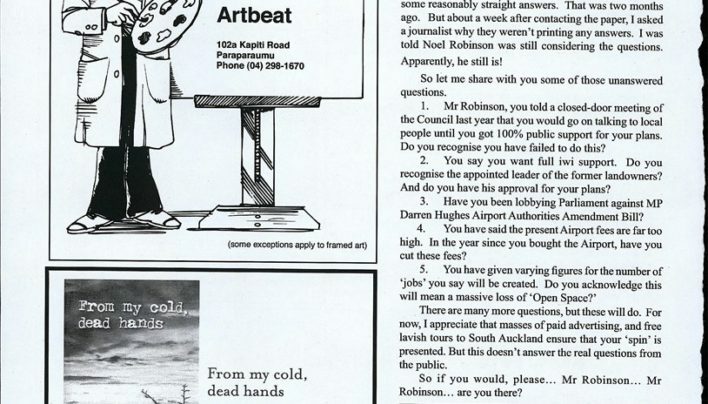 Our advertisement in the Winter 2007 issue of New Zealand Books features some quotations by Alan Preston about Unity Books, accompanied by graphics by Gregory O’Brien. 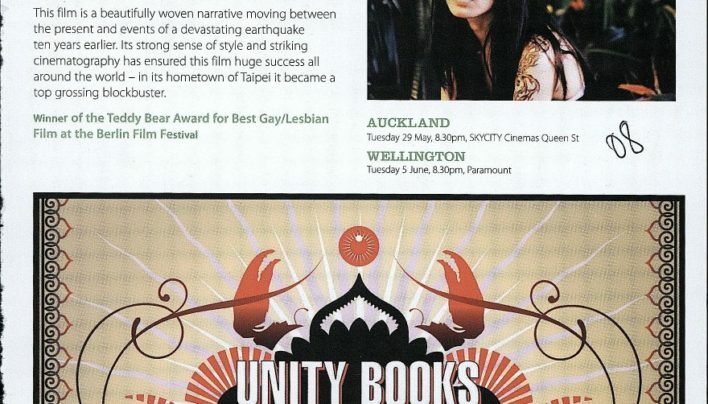 The Unity crew were saddened to hear of the closing of “In Other Words”, the Plymouth bookshop owned by former Unity shop girl Prudence de Villiers.